Lately I have been conversing with fellow students who seem stressed. 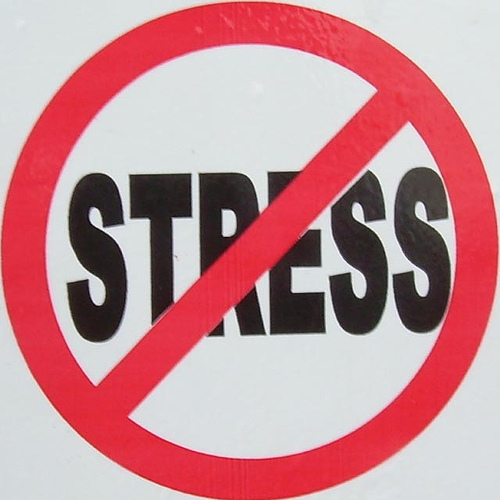 This is not to say that other individuals are not stressed. However, it has been interesting hearing stress coming from the tongues of so many students. When conversations surrounding due dates, assignments, assessments, and tests arise, I can see different forms of stress in many students. Ultimately, such stress hinders positivity, work output and your health. I can recognize the beginnings of stress with school mid swing and assignments piling up. However, as I sit here sipping on my cup of tea, I am trying to understand the realities and reasoning behind such stresses. I find it very interesting that stress takes such a toll on our bodies and our minds. Stress creeps up on us and before we know it we are drowning in it. Then it affects our sleepings, eating and our physical activity habits causing our lives to spin out of control. 1) Is this "busy work"? Busy work is work given in your job or in school which doesn't really push you beyond your learning capabilities or your goals. It is simply work that is in your way which 'needs' to get done and 'get done now'. My favourite example of busy work is making a cover page for an assignment. What is the point? It just takes 8 minutes of your day you could spend exercising or sleeping. Title pages use more paper and really serve no purpose outside of a thesis presentation. 2) How is my energy? Do I have enough energy to quote: "Do this work like I do nothing else". Meaning that you can complete the given workload with adequacy, ease and critical thinking using logic and methodical, technical inferences? If you are simply too tired to put 100% into your work; get some rest and start it again tomorrow. 3)Ask yourself, "What would they do if I were dead?" Think about it...Is it really that urgent and important that you really need to come back to the library to finish it? Probably not. If you were dead, someone else would do the work for the company right? Work will just have to wait for ME to be ready to do it. 4) "Where does this fit in the grand scheme of things?". Will this work make me a better teacher or a better employer, or will it just keep me where I am? Personally, if it is not going to make you a better person stop what you are doing;switch jobs/careers and give your energy to something else. You will be happier because of it. These are arguably pretty rational ways of assessing your stress. Taking a proactive approach to stress by implementing some ideas I mentioned above can help you control your stress before it controls you. You know from my other postings that proper nutrition, rest and exercise can help reduce and/or eliminate certain stresses. 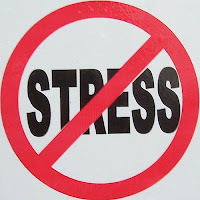 Allotting time to make sure those three components are aligned is critical for stress management.Work-related stress can be a silent killer; slowly engulfing our personal and professional lives where we see no visible way out but to resort to relationship counselling or career counselling. Take time each day to assess the workload placed on you and separate what is urgent and important from neither urgent or important and your exercising will come easier, eating will stay on par and you will feel an intrapersonal sense of wealth and happiness which no work can take away from you!